A high school diploma can take you places you may never have imagined. Our Adult Education program has what you need to succeed. We offer adult basic education courses to prepare students to earn their high school diploma, improve reading and math skills, develop job readiness skills, and well as prepare for the GED® exam. Our adult education program has everything you need to get started including supportive teachers, interactive instructional materials & classes and computer labs. Take the GED® Ready Practice Tests to determine if you are ready to take any of the four official GED® Exams. National External Diploma Program (NEDP)-available to Garrett County residents in partnership with Allegany College of Maryland. Blended learning – Combine distance/independent learning and classroom instruction. Are you ready to take the GED® exam to earn your high school diploma? Garrett College offers the opportunity to take the GED® ready exams to determine if you are prepared to earn your high school diploma. If you are ready to take any or all of the four GED® exams, we will help you register to take the exams at Garrett College. If you are not ready, we can help prepare you for only what you need help with. The first step is to schedule an Information, Advising and Assessment Session. Sessions are held each month and take about four hours to complete. An intake counsellor will assist you with the class registration process held at the end of the session. 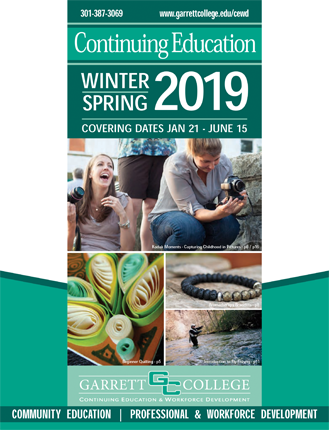 To register and for more information, contact Kaitlyn Fike, 301-387-3087 or k​a​i​t​l​y​n​.​f​i​k​e​@​g​a​r​r​e​t​t​c​o​l​l​e​g​e​.​e​d​u​ . Both day and evening classes are available to allow for convenience and flexibility. If I attend class, where are they held? What is the cost to attend classes and participate? 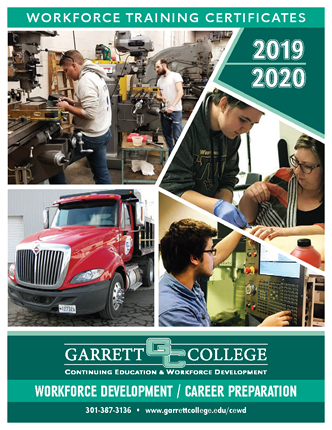 Garrett College provides Adult Basic Education classes FREE OF CHARGE*. The cost to participate in Maryland i-Pathways and NEDP is approximately $100-$150. The cost to take each official GED® Exam is $11.25 or $45 for all four tests. To schedule your time to take the GED® ready exam and review the process to register to take the official GED® exams, contact Carol Mowbray Brooks at 301-387-3770 or carol.mowbraybrooks@garrettcollege.edu.